Are you after a moving firm in London that can handle all your moving requirements? Get a free quote now by booking online! Our local, knowledgeable and experienced team will contact you in a jiffy and offer you the most affordable removal service that satisfies your needs. London Ryan Man and Van Services is the number one man with van company around, offering reasonably-priced household and office moving services in London and trustworthy removal van hire. In need of a dependable and low-cost man with a van service for your premises in London? London Ryan Man and Van Services excels at delivering unbeatable man and van services to both house owners and businesses clients, as 100% customer satisfaction is our number one priority. We offer cost-effective and five-star man and van services great for house removals and office moves of any size in London. 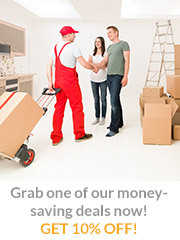 To find out more about our exceptional moving services and low prices, or get a free online quote, contact us on ‎020 3790 7075 in London as we are open for business 24 hours, 7 days a week.